Wine grapes are grown in a variety of soils. The influence of the soil is one of the many factors that contribute to a resulting wine. But can you taste this difference? There are general descriptors that say that sandy soils produce highly aromatic wines with low tannins and clay soils produce muscular wines with high extract. And there are examples of wines from around the world that demonstrate the influence on wines from sandy, volcanic, clay, limestone, slate and other soils. But to really understand the influence of soil on wine, what if you could narrow down all of the other elements — same grape, same vintage, same region, same viticulture practices, same vinification but four different soils? 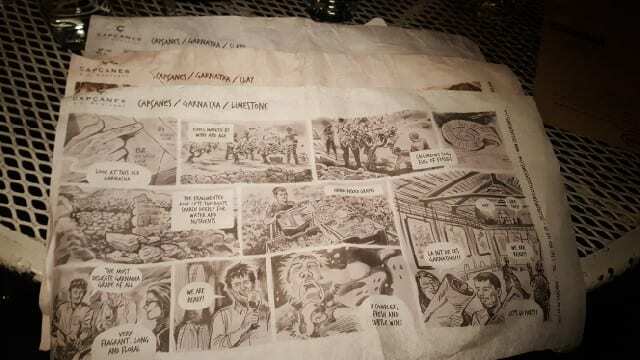 You can with Capçanes’ La nit de les garnatxes series. Capçanes is a cooperative located in the village of the same name in Montsant in the Priorato hills of Spain. Started by the Cartesian monks, viticulture dates back to the 13th century in this area. They named the mountain the “Holy Mountain” (Montsant) because of its closeness to God, and the first chief monk was named Priorat. Phylloxera wiped out most of the region in the 19th century. The Priorat region shrunk from 20,000 hectares and a population of 35,000 to 4,000 hectares and 8,000 people today. Montsant is located in the southern part of Priorat, and the wines of Capçanes are part of DO Montsant, which includes 2000 of the hectares and 30 wineries. The cooperative of Capçanes was founded in 1933 by five families in order to compete with a market that demanded bulk wine, and today Capçanes consist of 65 members and 180 hectares, 40 of which are certified organic. They continued producing bulk wine until the 1980s and then selling their grapes to larger producers. Then, in 1995, the Jewish community of Barcelona asked Capçanes to produce kosher wine. 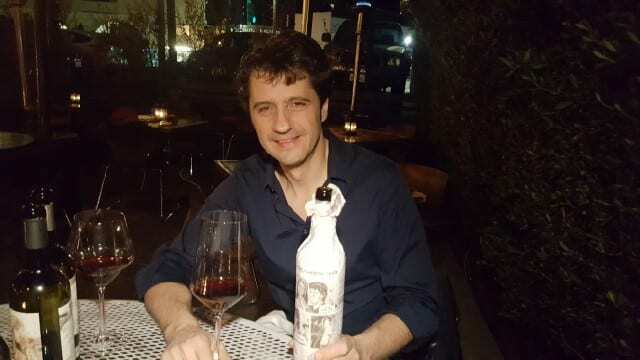 The wine was touted as the best kosher wine in the world and one of the best wines in Spain by the most influential wine writer in Spain at the time. These reviews caught the interest of Jurgen Wagner who was working with importer Eric Solomon then. Wagner was born in Germany, where he studied winemaking, and found himself working in Spain through a scholarship with Erasmus, first at winery Clos Mogador and then with Eric Solomon Imports. Wagner and Solomon went to Capçanes to taste the kosher wines and were so impressed, they began working with Capçanes. By 1999, Wagner went to work at Capçanes full time as the head winemaker and two years ago winemaker Anna Rovira joined him. Under Capçanes, 15 percent of the production is kosher wines and 85 percent of the production is non-kosher wines that include young, half-aged, organic, single vineyard and the terroir series La Nit de la Garnatxes. 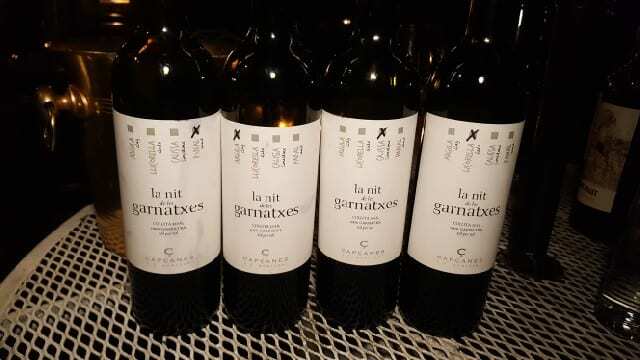 La Nit de la Garnatxes is an exceptional way to explain terroir. Four wines are made from one grape variety grown in four different soils but made the exact same way. Harvest is manual and takes place in mid-September with 750 to 1000 grams per vine and 25-35hl/ha. Vinification includes fermentation in controlled temperatures (75-82 degrees Fahrenheit) and maceration for 28 days, followed by alcoholic and malolactic fermentation in French oak barrels (500 liters) and soft filtering. The wines are aged for four months in new French oak barrels (228 liters) with a light and medium roast. Sand provides no nutrition to the vines. It does not retain water and does not keep heat, which helps with a diurnal shift in temperatures between day and night and results in increased acidity in the grapes. The resulting wine is crisp and fresh with notes of raspberry, fresh blackberry and violets. On the palate, it is light and delicate with medium tannins and medium acidity. Similar to terra cotta and red in color, clay has high water retention but then becomes heavy like concrete. The soil is rich in nutrients and the resulting wine is a darker red color with a bigger nose of black raspberry, black cherry, violets, bramble and earth. On the palate, the wine has medium tannins and bright bold acid that hits the sides of the palate. It is a wine that is rustic yet structured. Limestone is a poor soil but it contains minerals. It does not hold water or heat. The resulting wine is delicate with a sophisticated structure. It has cool, chalky notes with pomegranate and tart cherry notes, as well as medium tannins and medium-plus acidity. Slate is a dark grey color that keeps heat and produces grapes that are higher in alcohol, lower in acidity and sweet. The wine has elegant aromas of blackberry, bitter cacao and floral notes. On the palate, it structured with medium tannins and acidity that hits back of the palate, tucking under the tongue and making the mouth water. 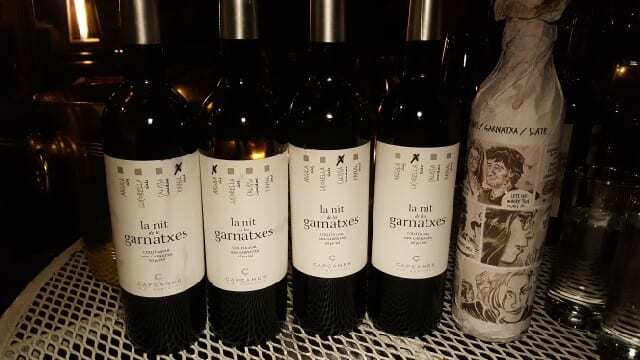 For the past 12 years, La Nit de la Garnatxes was produced only for the annual party or for tasting classes. But once Wagner came up with a creative method to communicate the different terroirs, the wines would become available in the market. Wagner did not want to bore the consumer or come off as arrogant. He wanted to find a fun way to share his message about the influence of soil on wine and for the 2015 vintage he did that. 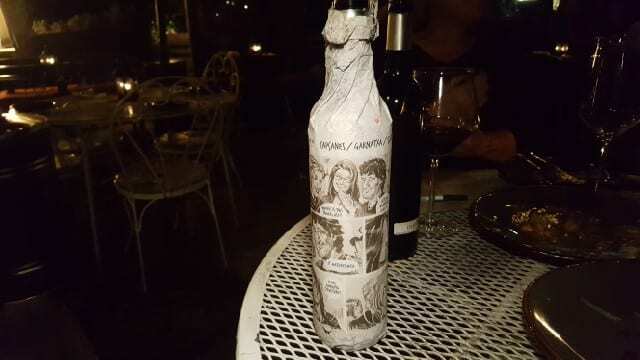 Wagner and Rovira came up with the idea of wrapping the bottles in paper that looks like the comics section of the newspaper, with drawings of Wagner and Rovira describing the wines in a simple and humorous way. Unwrapped, each bottle has the same label but a box is checked marking the soil it comes from. To best understand the role the soil plays in wine, purchase all four wines and enjoy them side by side. The wines are tasty on their own but side-by-side is an educational and informative experience. This entry was posted in Wine and tagged Capçanes, Celler Capcanes, DO Montsant, garnacha, Grenache, Jurgen Wagner, La Nit de las Garnatxas, Napa Valley Register, Spanish wine, terroir by Allison Levine.